Gary Bramall, chief marketing officer at taxi app Hailo. has said he welcomes ad-blocking as a "great thing" that tackles the "fatigue customers have felt through dumb advertising". Bramall was speaking on a panel debate titled 'Adblocking, viewability and the death of mobile advertising?' 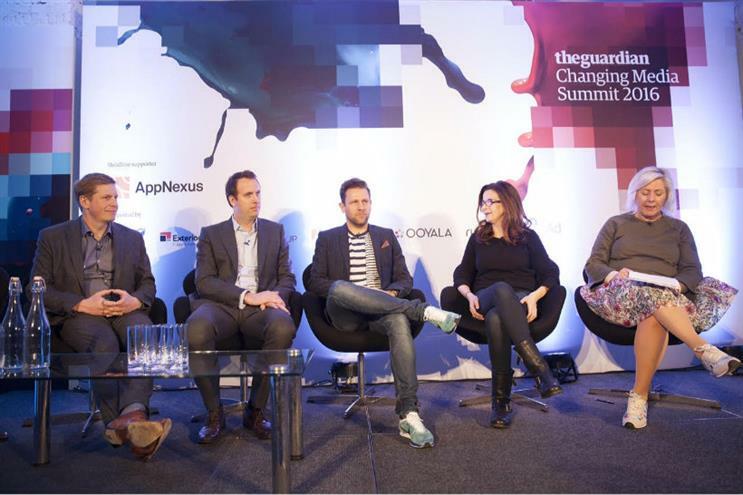 alongside figures from the publishing, adtech and media agency worlds, at the Guardian Changing Media Summit. "From a marketer’s perspective you don’t want to reduce the amount of channels you can use, but I think [ad-blocking] is a great thing," he answered when the moderator, Mary Keane-Dawson, MD of media agency Neo@Ogilvy, asked him why adblocking appealed so much to millennials. He later claimed that 80% of millennials in Germany have installed adblockers, adding: "They’re not punks [he was speaking after Keane-Dawson had asked rhetorically if ad-blocking was the new punk], they’re not ill-educated, they’re obviously really frustrated." Adblocking would lead to "interesting opportunities" such as marketers and creatives redefining what their role is, said Bramall, who was by contrast pessimistic about the future of publishers. He predicted that Facebook and Google would win the future battle with other media owners for advertising dollars. "They own the platform, they own the distribution, they own the monetisation. Ad-blocking in the mobile browser is a bit of a red herring. The real ad blocker is Facebook. I think [in talking about] mobile browsing it feels like [publishers] are being distracted from the true problem, that Facebook and their like are potentially blocking routes to market." With the final question to the panel being what they thought their world would look like five years from now, Bramall went for an optimistic view of a world without advertising. "If I put my consumer hat on, in five years it would be great to think that the term advertising is dead, that advertising doesn’t exist, that there’s a rich symbiosis between brands and consumers, and that there’s a level of engagement that’s just free and fluid, timely, relevant and frictionless."